Are you looking for mortgages and loans in Auckland? We are Mortgage and Life Insurance Brokers. With using innovative finance solutions, we can arrange a Home Loan to suit your individual situation. 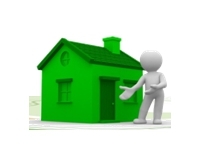 Mortgages - We provide a range of mortgage finance services. Our objective to work with you to make the process as financially stress-free and convenient as possible. We will ensure lenders will meet your needs now and in the future. Insurance - Today has a range of insurance solutions that protects your health and your lifestyle. We can recommend a solution to suits your needs.Talk to us about what you want to protect! "Make your FUTURE SECURE for Tomorrow"
Secure your future, by calling and booking your mobile service, I can travel across Auckland, alternatively complete your Home Loan or Life Insurance application form online, in 2 minutes.